This outfit was worn by “Kelly Bundy” portrayed by Christina Applegate in the Norma Lear television series “Married… with Children”. 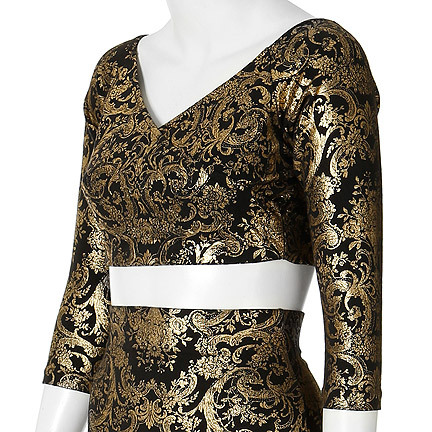 This outfit consists of a long sleeve black spandex crop top with a gold brocade pattern and a matching mini skirt by Tripp NYC. 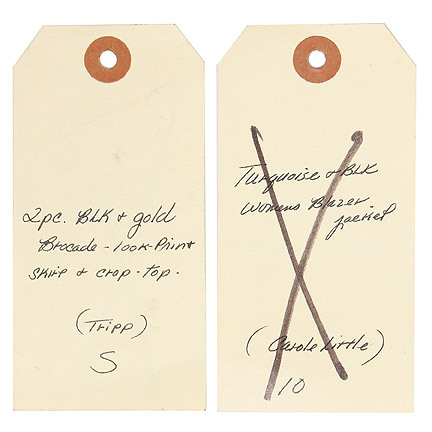 Attached is the costume production hold tag with (“2 pc. 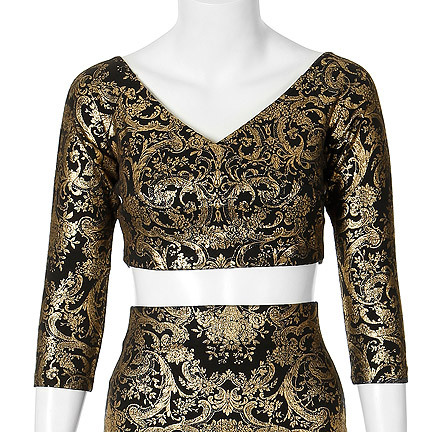 blk + gold brocade – look print, skirt + crop top. 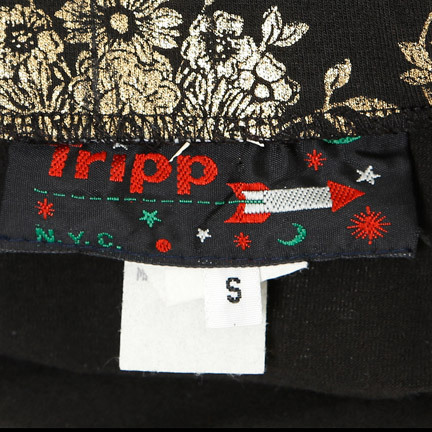 (Tripp) S”) hand written. Ms. Applegate wears this outfit in Season 5 Episode 18 "Weenie Tot Lovers & Other Strangers” while attending a competition to become “Miss Weenie Tot” with her father “Al Bundy” (Ed O’Neill). 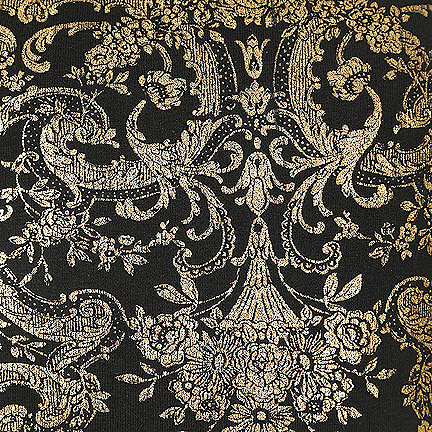 A copy of the production costume continuity image is included. Married… with Children was an American sitcom broadcasted on Fox from 1987 through 1997. The series revolves around the lives of a dysfunctional family living in the suburbs of Chicago. Married... with Children is widely regarded to be a cult classic, and its 11 season, 262 episode run makes it the longest lasting live-action sitcom on Fox. These items are in excellent screen worn condition and are accompanied by a letter of authenticity from the costume house.